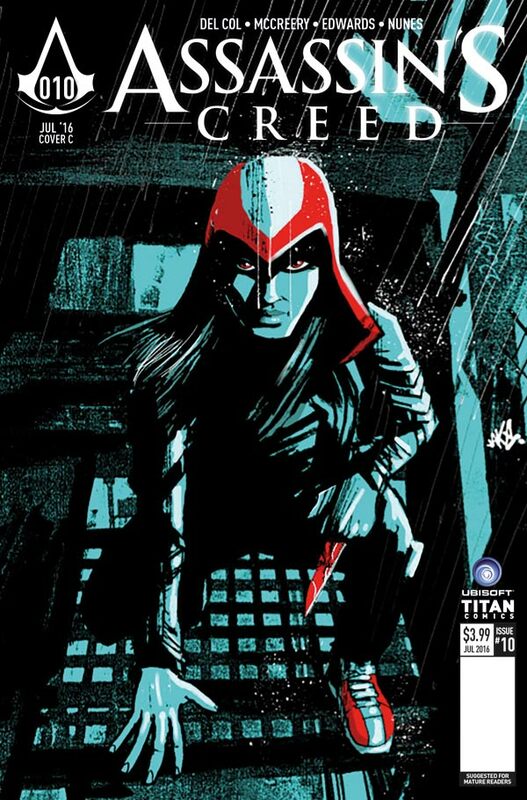 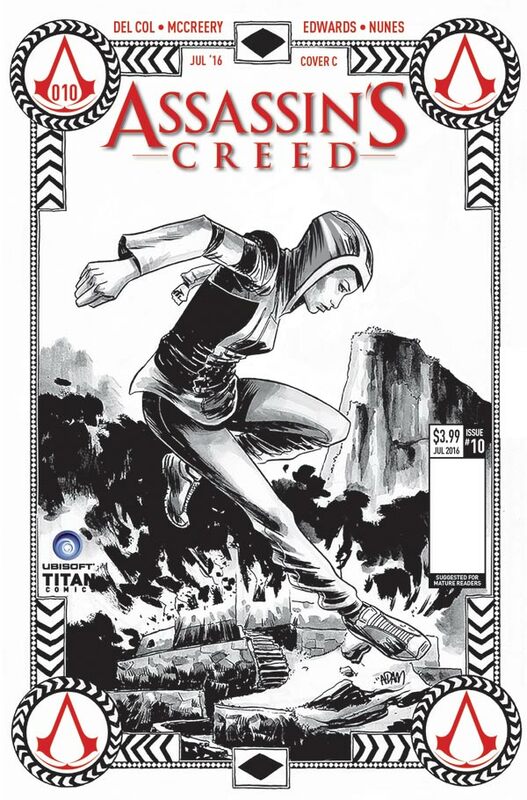 The Fellowship has obtained a first look at ASSASSIN'S CREED: ASSASSIN'S #10 from Titan Comics. 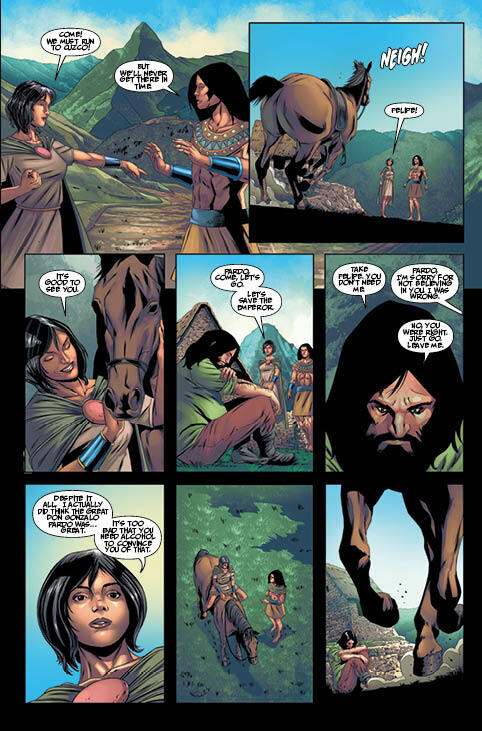 The issue, which hits stores July 20th, is written by Anthony Del Col & Conor McCreery with art by Neil Edwards, colors by Ivan Nunes, and letters by Comicraft. 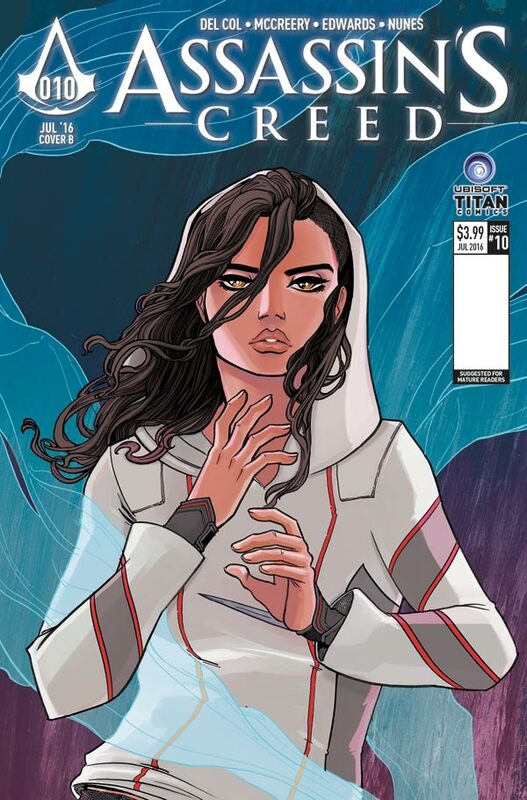 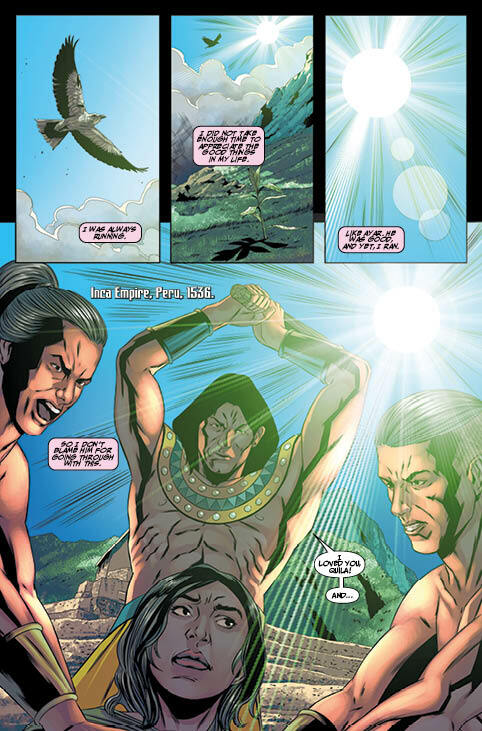 The cover is by JAKE, with variants by Sanya Anwar and Adam Gorham.